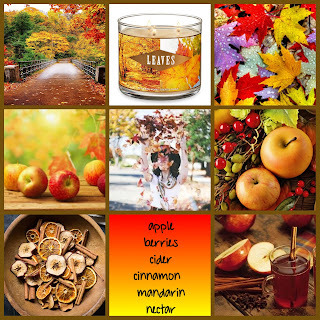 Anyhoo, I thought it would be fun to make my own inspired by fall candles. So I asked my followers on IG what were some scents they would like to be made into moodboards; the top5 most requested ones would. So this candle has caused much consternation throughout social media - the debate being whether not it's a repackage. Most (myself included) are in the no camp while there are a few who stauchly believe that it is. 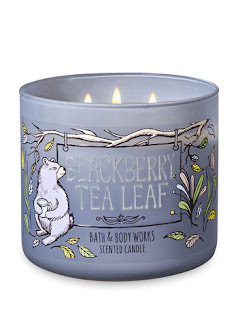 I want to take this time to break down and give my argument about this candle and its supposed origin. Let's go back to the very beginning and talk about this badboi. So for those who don't know, Blueberry Pumpkin Patch was a failed test scent back in 2012. 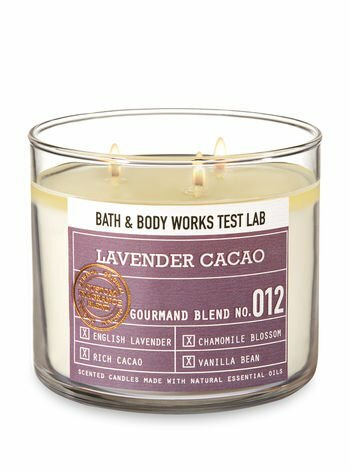 Thanks in part to mainly Tinadivlicious, Littleballadeer and Touchthefiretwice, it receive a cult status amonsgt the then burgeouning candle community who ordered it like crazy over the phone (back when you could call test stores for phone orders). Because of its popularity, it ended up going wide the following year. I just realized as I sat down to type this that I haven’t written an actual review of candle in ages! 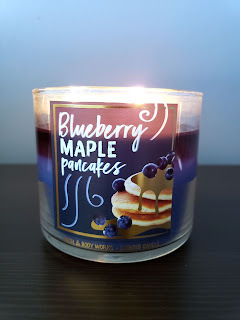 So this candle is soooooooo out of my wheelhouse – as you already know I’m not a bakery fan, I’m not into maple/caramel/butterscotch scents and berry scents in home fragrance are always so hit or mess. Moreover, any scent that gets overhyped on social media makes me immediately suspicious and leery. However, in the spirit of being open-minded, I decided to give it a try and I have to say, I’m glad I did because I’m kinda digging it. So the burn was less than stellar. The flames started off a little on the stubby side and it would take a few subsequent burns for the flames to act right and start dancing high. For the first 2 burns, it took FOREVER for the pool to finally pool out and there would still be a slight precipice of wax. Remember awhile back, there was the blue dress/gold dress fiasco? 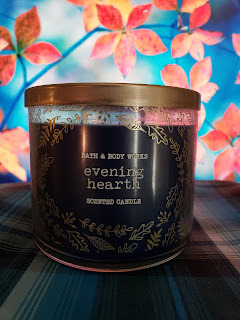 Well Evening Hearth is the candle equivalent - everbody is smelling totally different things with little to NO agreement. So what can it be?! So Autumn Night was a one hit wonder from 2014. Essentially it was Acorn & Fig/Autumn Day with the birch removed and added cinnamon bark and heavy cardamom with a touch of smokiness.